This is an early alpha release which developers still do not fully support. It may contain serious problems, and they may stop supporting it at any time but not in the near future. After starting, the server will try to read the server.properties file.Some of these parameters are read only when creating a new world, and some during server startup. The file should contain a list of keys and values separated by an equal sign, one per line. Server-name - Enter the server name, absolutely any using the available characters. Gamemode (adventure / survival / creative) - Sets game mode for regular players. Difficulty (easy / normal / hard / peaceful) - Sets the complexity of the world. Allow-cheats - If true then cheats (/gamemode, /give, etc) can be used as commands. Max-players - The maximum number of players that can play on the server. Online-mode - Xbox Live authentication. White-list - Does not allow players not in the white list to connect to the server. View-distance - Visible blocks (average is best). Tick-distance - Affects performance, change based on the server characteristics by raising or lowering the number of chunks for each player. Max-threads - The maximum number of threads the server will use. Behavior packs - install add-ons compatible with the current version of MCBE, but this version of the server cannot activate them. Resource packs - add new texture packs to your server that can be downloaded from our site. It does not work yet with addons. Worlds - create several worlds or download ready ones, each individual world is stored in a new folder. 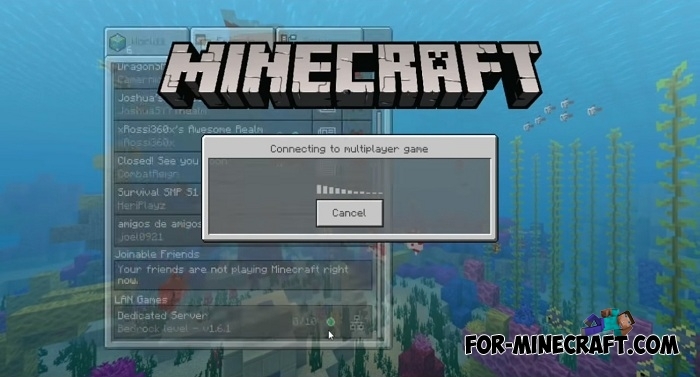 If you create your server not for the first time, then you know what the whitelist is. But those who have no idea what it is, here is a brief description. 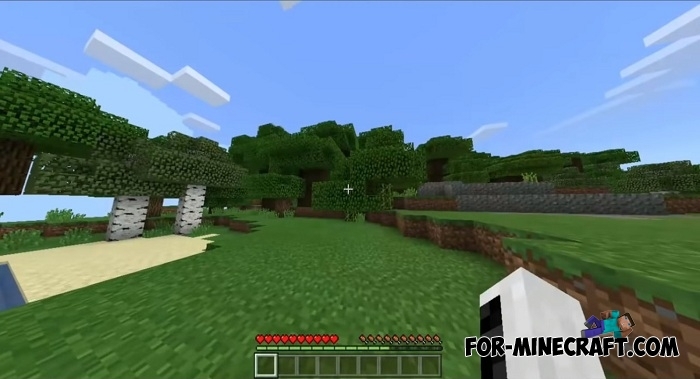 Whitelist is designed so that only verified and approved players can play on your server. This means that any free player who knows the server IP could not get to it without your approval. 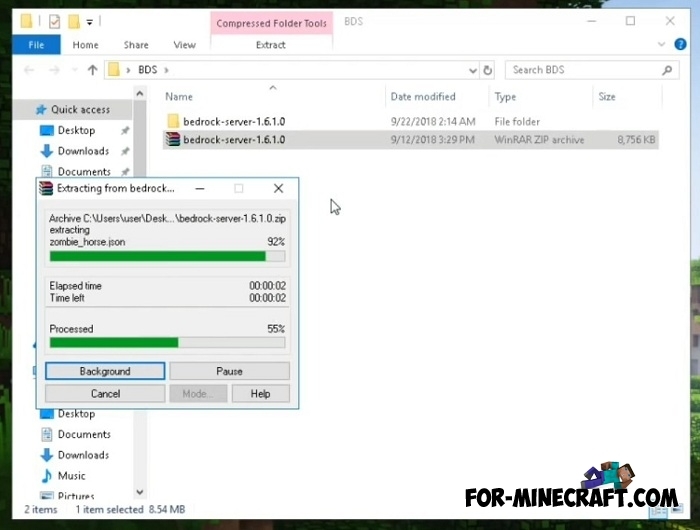 To allow players to go to the server, you need to use a separate whitelist.json file. 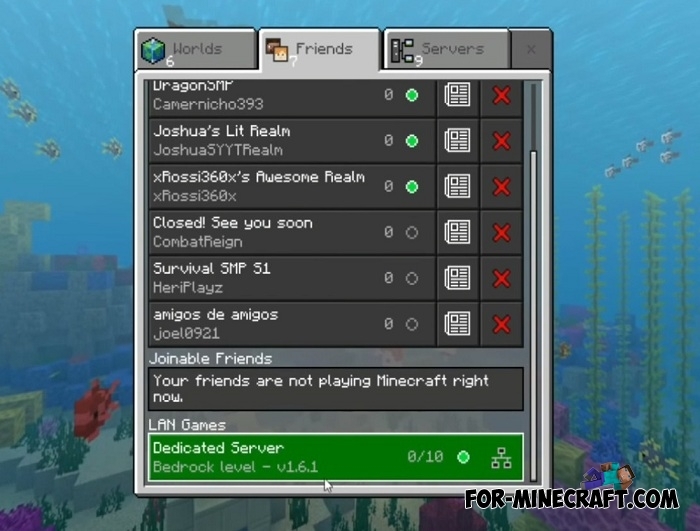 It stores a list of all players who can go to the server. There is a more convenient way to add a player to whitelist: type /whitelist add and he will get the opportunity to join the game.